This entry was posted in Colouring With Yarn, Crochet, KC4-SO 2013, Knit, Knit & Crochet for a Cause, Scarf and tagged 2013 scarf project, 2013 Special Olympics, crochet, KC4-SO, knit, scarf, scarf project, Special Olympics, Special Olympics scarf project. Bookmark the permalink. It is a shame that the Special Olympics discontinued this program because they received too many scarves. They could have passed along the extras to women’s shelters, homeless shelters, Salvation Army, etc. to be used by others less fortunate who could use a little warmth. Is SO planning on restarting for 2014? Since I did not realize there were some participating states, am a little late. Are any of the listed states still accepting and what is the closing date and mailing addresses for those states? Sharing God’s blessing with others. Yes, they could have done many things with it last year. We are just wrapping up the 2013 project, and the last week for mailing is this week (two states have deadlines on March 1st.). Some states have indicated that they would be participating next year for 2014 games, but will only decide on colours in late summer. Two states – Arkansas and Oklahoma – have decided to continue with the same colours for next year, so at least we know that we can work on those throughout the year. Arkansas colours are RH Cherry Red and Grey Heather; Oklahoma colours are RH Cherry Red and Black. Are you on Facebook or Ravelry? We have groups set up there with all the details. If not, I update on the blog here every now and then. I live in central cali and have found that THERE IS NO SCARF PROJECT going anywhere in this state! I did the scarves for our athletes in our county last year on my own, and just barely got them done in time for the baskeball regionals in Fresno, Ca. We were the only group there with the scarves, and I felt bad for the rest of the athletes. I managed to get 72 of them done in about three and a half months, and sometimes would find myself auto knitting as it had become the only thing i did during my free time. Does each state have to have their own colors or does the nation as a whole have a set of colors? I need to get started as the end of march is my deadline. Help anyone?!?!?!?!?!?! No, California opted not to participate in the project; they said that it would not be cold enough for their winter games for the athletes to need scarves. This year, and most probably next year, each state chose their own colours for their scarves. This is the last month to make scarves; the last deadline is for Utah on 8 March. If you’re on Facebook or Ravelry, go to the links on the sidebar to take you to the groups. More information is posted there. No, Wisconsin declined to participate this year. We’re continuing the project for next year, so maybe Wisconsin may participate. If not, there are other states you can make scarves for. If you’re feeling up to it, we still have states with deadlines through February and early-March. Thanks. earmuffs are really handy specially in cold snowy weather in the winter. we use them a lot even we are at home since it is very cold out here.. Yes, SO Iowa had also asked for headbands and earmuffs. Thanks for visiting. I just found out about this program on thursday noght. I have a special olympian as a son. We have never heard of this program, however we have made 5 scarves in 3 days and hope to send 25 before the Jan 21 deadline for Texas. I do hope that Texas continues next year we will be supporting this project in many ways! thank you all for what you are doing. Thank you for your support and participation! You can also check out the Facebook and Ravelry group pages for more details on the project. We also hope that the state programs will continue to participate in the project next year. In a way, I think a lot depends on whether we are successful this year. Good luck to your son in next year’s games! I stumbled upon this project a couple years ago, is it true that it’s been shut down? That would explain why the website doesn’t work anymore. Is Illinois involved in these small groups, by chance? I’ve wanted to help but wasn’t able to in the past, now that I can I’m hoping there’s a shot. Thanks! Yes, the Special Olympics organization discontinued their partnership with Red Heart. They said that they received too many scarves over the three years that the project was ongoing. A group of us decided to contact the individual state programs, if they would want to continued, and this is how this started. SO Illinois chose not to participate this year. I don’t know yet if any states would want to continue this project for the next year (for the 2014 games). There’s still time to help out for this year. Some states deadlines run through March 2013. Complete details are in the Facebook and Ravelry groups (click on the links on the right side bar). Or let me know and I can give you full details by email. Hello. My name is Becky Plants. I work at a female correctional facility in West Virginia. Can you please email me ASAP? I have several questions about the women in our facility helping with this project. Thank you. Apologies for late reply. I’ve just returned from a business trip, and just catching up on all. Hello, I have just stumbled on to the Special Olympics scarf project. Can anyone knit or crochet scarves for the SO? Would love more info…size? where to send? please reply to my email. Thank you…so excited to help. Hello Harriet. Yes, anybody can help make a scarf. 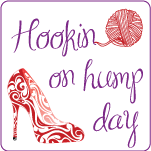 I have links in the sidebar to the Facebook and Ravelry groups where you can get more details. This year the participating state programs have chosen their scarf colours , so there’s several combinations. The scarf guidelines are 54-60 inches long including fringes, 6-7 inches wide. It can be made in any knit or crochet design or pattern but must include the two colours. Mailing dates and addresses can be found in the groups details. Thanks for joining! Thank you for stopping by my blog. I love the diversity of yours. Now I’m off to check out the Special Olympics scarf project–you brought it to my attention–thank you! You’re welcome. Hope to see you on the scarf project too.